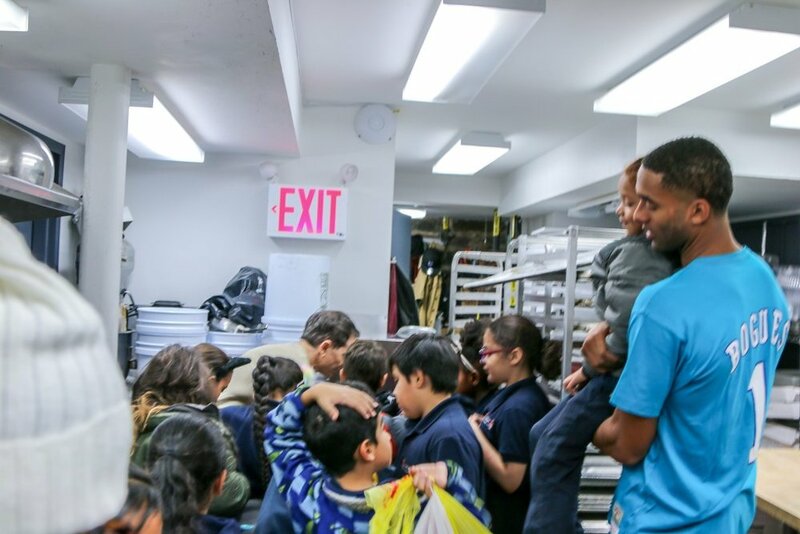 ABC Food Tours founder Matt James recaps his journey from Winston-Salem to NYC, including major lessons about networking, giving back, and hitting your stride after graduation. DeacLink: Walk us through your path since graduation day, up to the founding and fruition of ABC Food Tours. Matt James: Man, where to start! I didn’t think I was going to make a career out of football, but I thought my stint in the NFL would be longer than a few months. Fortunately, I had a support system back home in Raleigh (Mom) who allowed me to stay at her house and train while I figured out my next steps. By the end of that first season in 2016 I had moved on from football and off to Pittsburgh for a Corporate & Institutional Banking role in Pittsburgh with PNC. After a 1 ½ years in Pittsburgh, which I loved and still cherish, I spread my wings a flew up to NYC where I felt like I was missing out on life. My first six months were spent couch surfing, navigating the new NYC landscape and deciding if this new role in advertising as a media planner was for me. Ultimately, I left that job (just in time as the company went belly up 12 months later) and took a position as a research analyst at a commercial real estate company called CBRE. Four months into my CBRE role, I began to realize how much I loved food. I was eating out virtually every meal! I also really missed interacting with kids, since at Wake I was very involved with programs like Eat with the Deacs and Project Pumpkin through SAAC (Student-Athlete Advisory Committee). I met a group of “kids” who were students from a local neighborhood elementary school P.S. 188- where 50% of the students are homeless- hanging outside my favorite restaurant in the Alphabet City…. way later than they should have been out. We joked on each other for a few minutes then parted ways; they didn’t realize that wouldn’t be the last they saw of me. I reached out to their principal the following morning to set up a time where I could take their students to my favorite restaurant called Bob White’s. Although it was located right in their back yard, the kids had never been inside! This occasion marked the first food tour… the rest is history! DL: You were an athlete at Wake (on the football team). What impact did this have upon your undergrad experience, and did it influence the moves you made upon graduating? MJ: Being an athlete, I grew to appreciate everything that had been granted to me closer to the end of my time at Wake. Some random person decided it would be a good idea to give Wake over a quarter million dollars to support someone like myself going to college! I’m close to the benefactor, Dr. Stan Rogers, to this day. He changed my life! Going to Wake also cultured me. I know that sounds crazy as most students would say that a majority of the kids a Wake are pretty similar. It was a chance for me to see peers from across the country all aspiring to be different things; see how being brought up in different areas of the country had quite an influence on the type person you became. It inspired me to want the best for myself and question why I would allow anything less than the very best for myself, why couldn’t I be just like these kids at Wake? DL: Away from athletics, how much did your studies and general classroom experience at Wake inform or drive your career path? MJ: Looking back, my favorite teachers were professors I had before I even knew I wanted to major in Economics. I have always been business minded, so Econ made the most sense (since I would NOT be taking accounting and making a run at the business school). I would say students, parents, and my interactions with individuals associated with Wake, validated that you didn’t need to be an athlete to be successful. An important mentor for me in this case was Mr. Leak, who was a wealth manager at Morgan Stanley and invited me to intern with him my senior year. DL: How did you find and apply to the various jobs you’ve held since graduating? Do you have any tips or suggestions for the student audience on networking, interviewing and applying for jobs? MJ: The best networking I’ve done was during undergrad at Wake! That being said, it’s never too late. Wake Forest is a family, and alumni are more than willing to help introduce you to the right people and steer you in the right direction. My first job was through a connection I made with a baseball player at Wake (who is one of my boys to this day!). His father put me in contact with someone who linked me to another person, who eventually offered me a job in Pittsburgh! That opportunity came from my willingness to be flexible through the process… like, I would have taken a job in Montana. Nothing is permanent, living experience is invaluable. MJ: From a student-athlete perspective, I didn’t realize that although being eligible to play GPA-wise was great, that GPA isn’t close to high enough to be competitive in a job market. Good grades matter initially- they can get you seen in a competitive pool. I would also encourage undergrads to connect with as many students as possible. Figure out what their parents do and ask lots of questions because you may be in class with someone whose parents do something super interesting! I’ve found that parents are more than willing to talk to a current college student as opposed to a college grad who is “desperate” for a job. DL: What is your favorite part of living and working in NYC? What is the most interesting thing going on in the food scene, in your opinion? Diversity – you have no choice but to be inclusive. The thing about NYC, regardless of your culture, religion, gender, etc. if you’re competent and work hard then you will succeed! You aren’t discriminated against (like some parts of the country) as NYC is a melting pot like no other city. Opportunity – You are uniquely positioned in a city where there is every industry and influential people all around you. If you’re a mover and shaker, the world is your oyster. The resources are here for anyone to be successful if they choose to apply themselves. 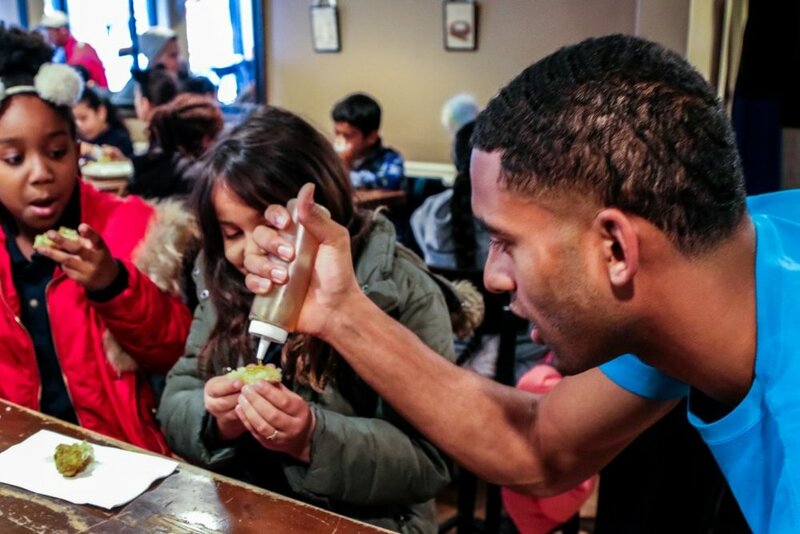 DL: What is your favorite part about running ABC Food Tours? What are your hopes for the future of the program? MJ: My favorite part of running ABC is working with kids! They’re at an age where they’re super impressionable. No one is born racist or rude; these are all traits that are acquired through influence and experience. If you can positively influence these students at this age, you can potentially change the course of their lives. Also, I love seeing our students try new foods! We went to Blue Ribbon Sushi recently and it was so rewarding watching these 3rd and 4th graders try sushi for the first time. We encourage them to try everything. The kids don’t’ have to like it but they’re able to speak as to why they do or don’t by the end of a tour. DL: How can Wake Forest alumni or current students support ABC? MJ: The biggest way they can support is by joining us for a tour! We strive to surround our students with individuals who are nothing like them (typically upper middle class, white male/female). This allows them to see for themselves who these people are and not be influenced by their parents and the media on what certain demographics represent. 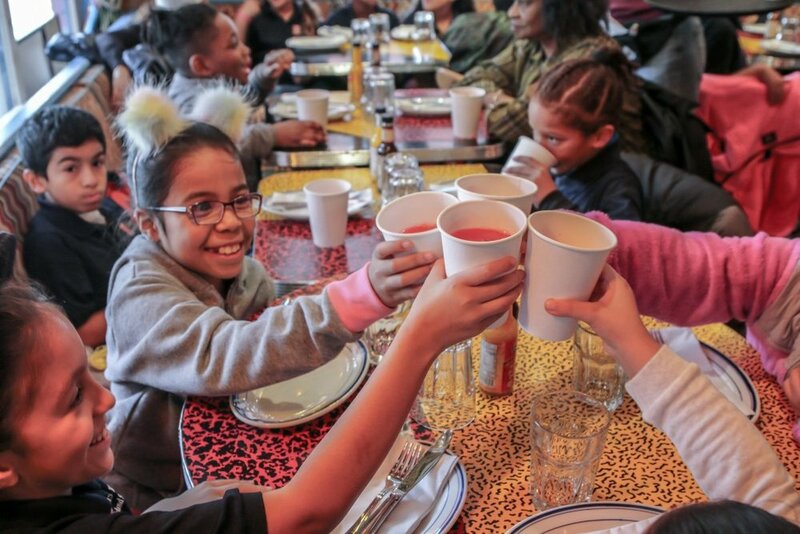 You can also go online and sponsor a tour on our website allowing a student or entire classroom the opportunity to experience these restaurants (and fitness classes now!). MJ: I’m headed into brokerage (with CBRE) in a few months so I’m stoked about that! 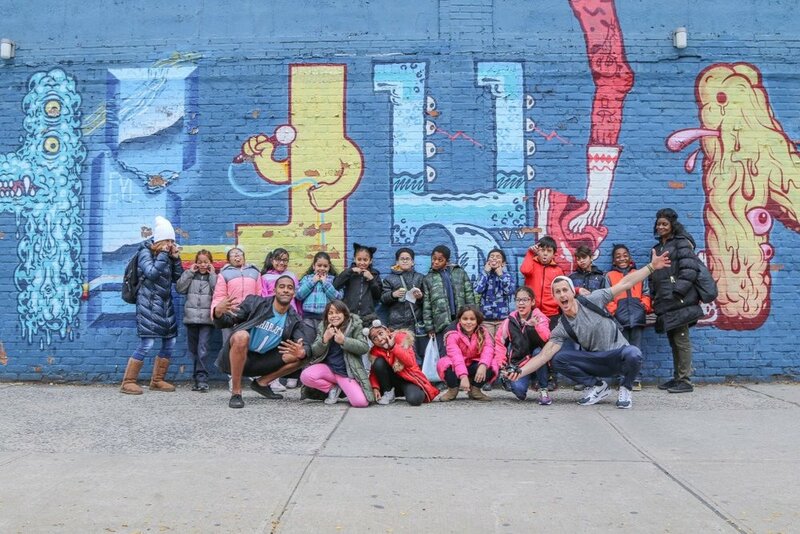 We’ve also launched ABC Fitness which takes students on fitness tours of local gyms in NYC focusing on health and wellness in 2019. We also recently hosted our first international tour in Brixton, London! DL: That’s fantastic- long may this expansive effort continue! What piece of advice would you like to leave with the readers? MJ: Be a good person. A smile can go a very long way. Support ABC Food Tours by visiting their website here. Follow ABC on IG to keep updated on the latest food and fitness tour activity (Matt’s IG is pretty great too).